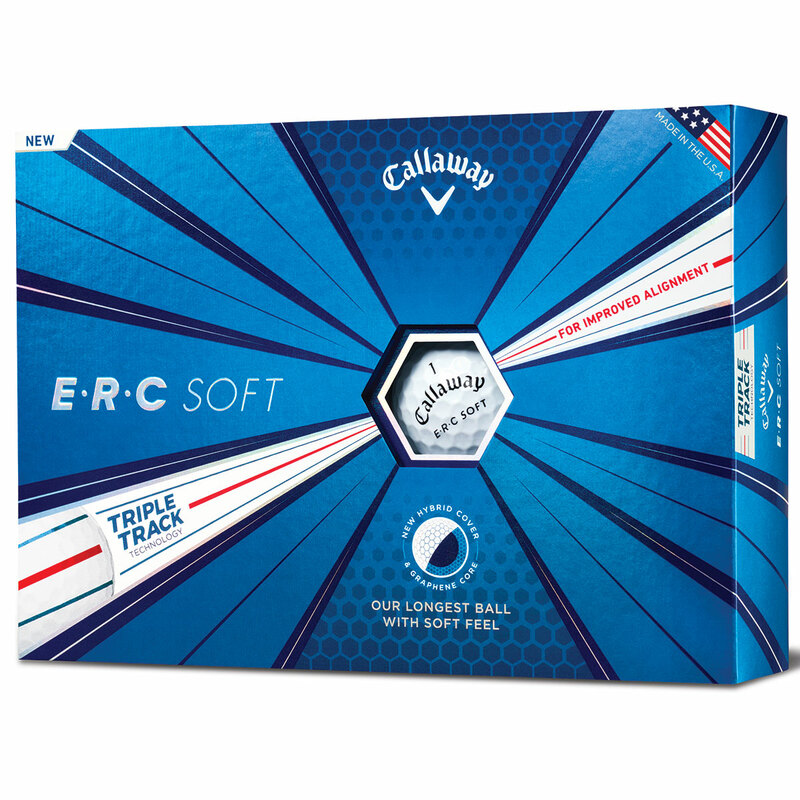 The ERC ball features Callaway Golf`s largest Graphene-infused Dual SoftFast Core which provides high ball speed distance, and incredibly low driver spin for maximum distance performance. 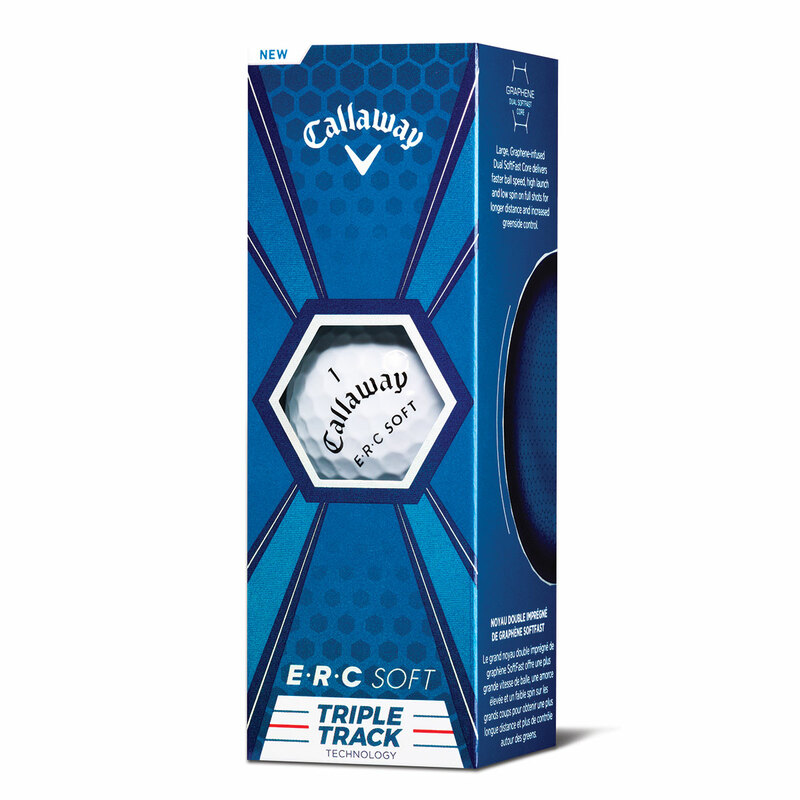 These 3 prominent lines on the ball use Vernier Visual Acuity to improve alignment, this will aid you to line the ball up to the hole more easily. 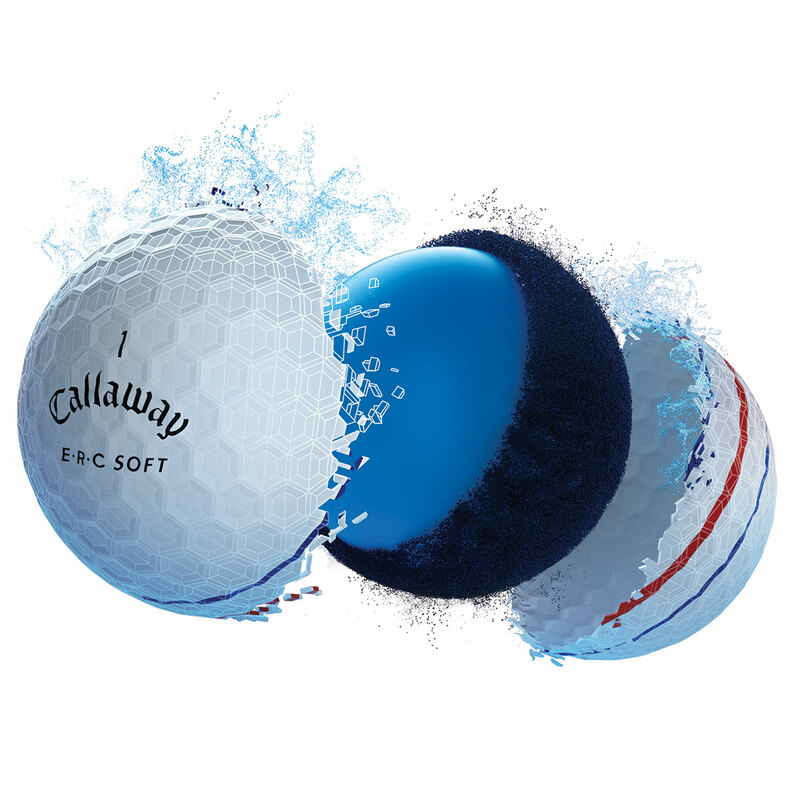 This technology is the same visual technology used to land planes on aircraft carriers. 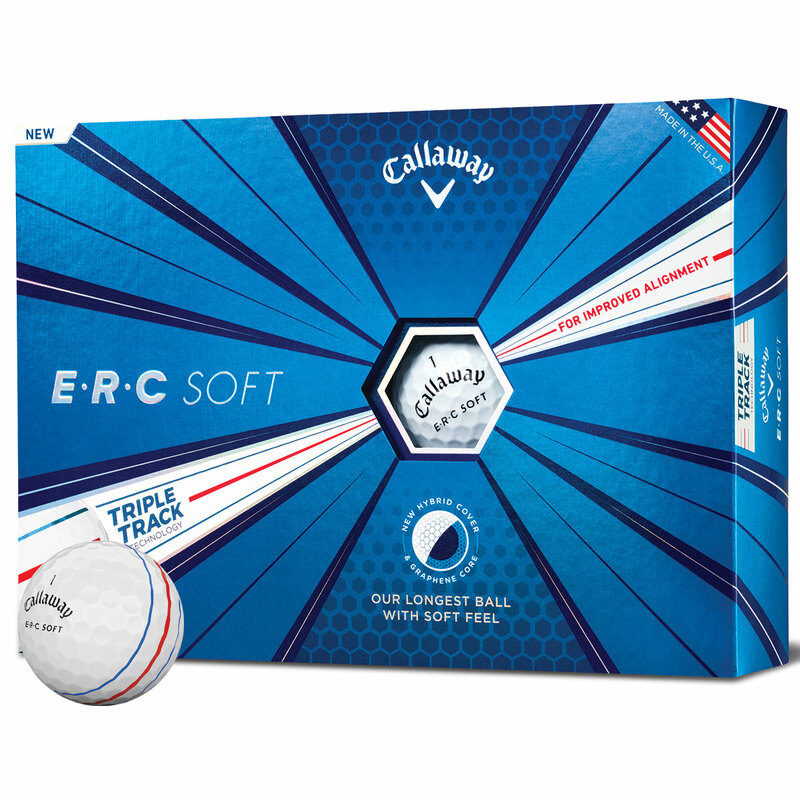 The ERC Soft has a new multi-material cover to enhance distance and engineered to generate more spin around the greens allowing you to be more aggressive on approach shots too. 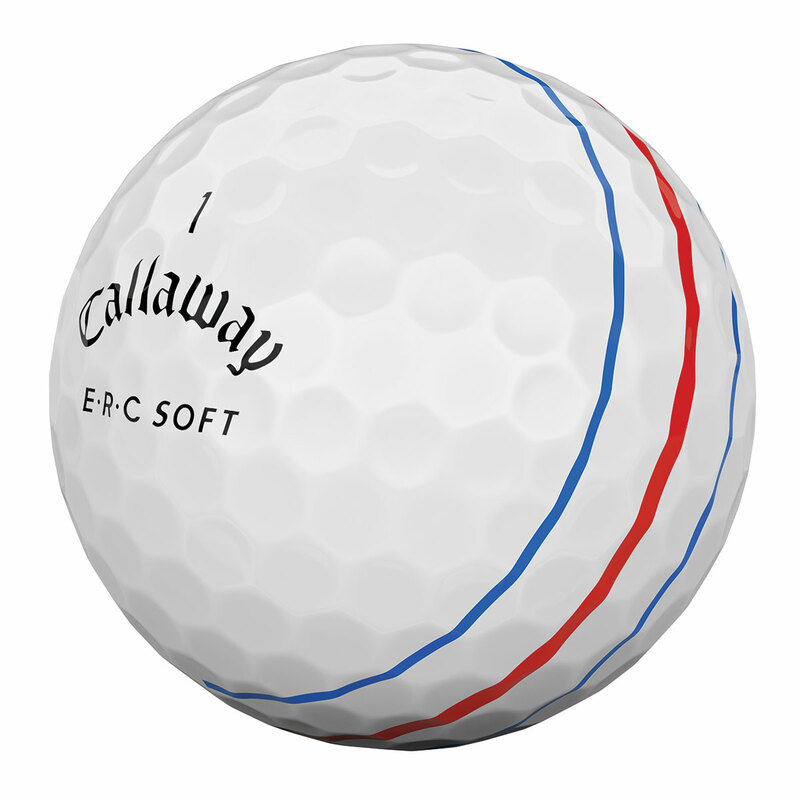 The E.R.C name comes from the visionary and an innovate founder of Callaway Golf "Ely Reeves Callaway". 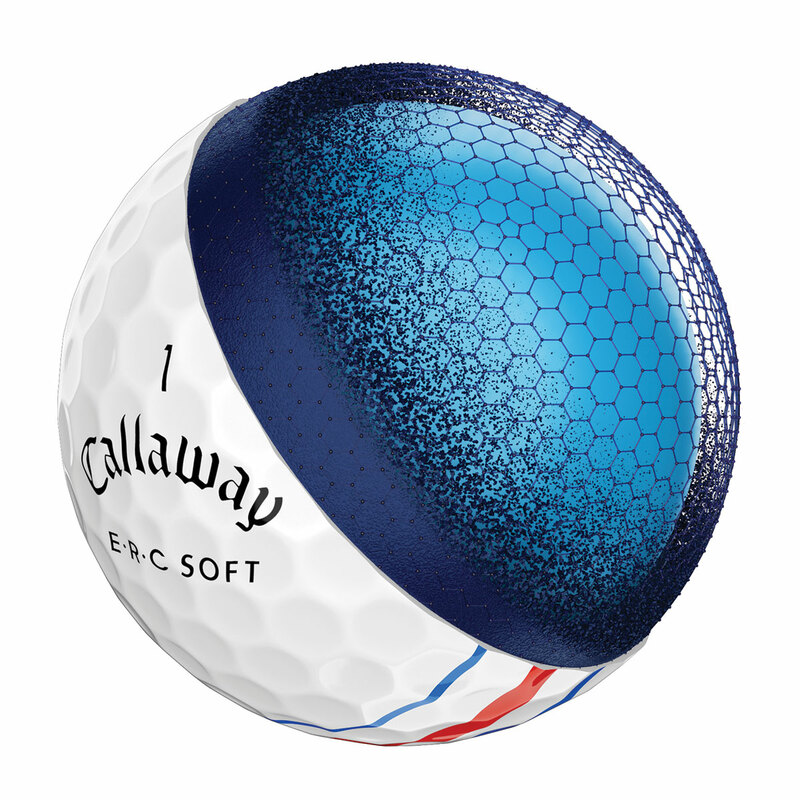 Callaway Golf believes this ball is so special that there was only one name worthy of stamping on the cover.